Millcreek has attached these 13 pictures. The message is below. 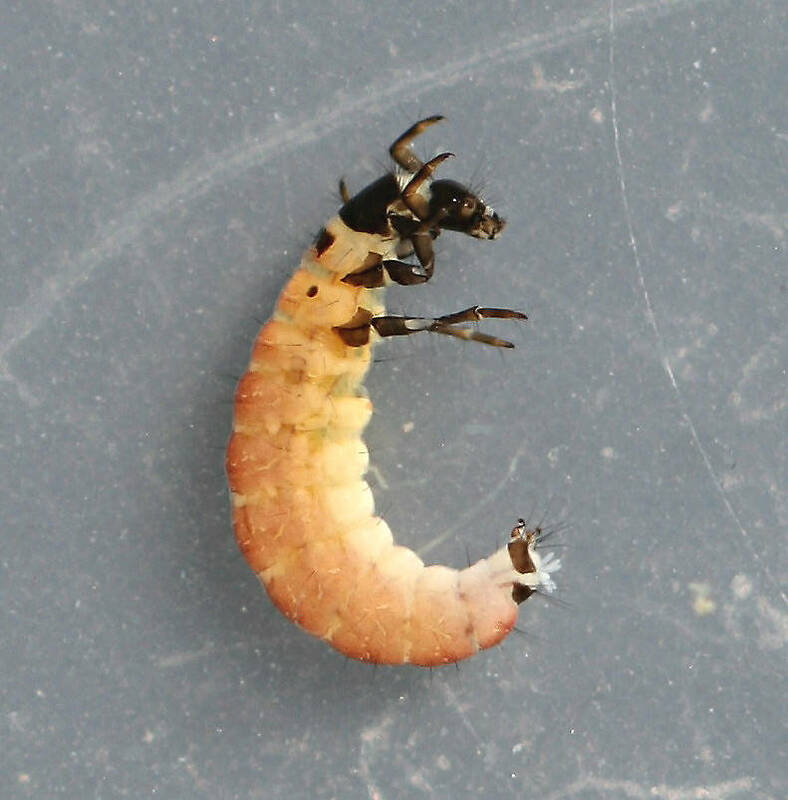 Agapetus larva. 5 mm. In alcohol. Collected March 29, 2013. Larval case. Dorsal view. 7 mm. In alcohol. Collected March 29, 2013. Larval case. Ventral view. 7 mm. In alcohol. Collected March 29, 2013. 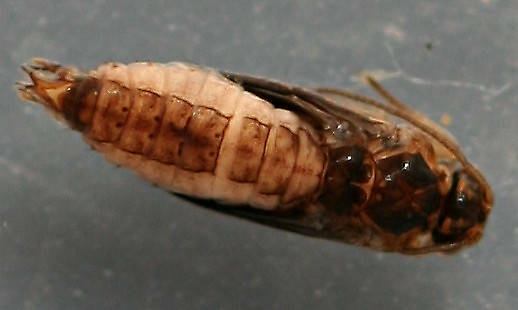 Case of prepupa. 8 mm. In alcohol. Collected March 29, 2013. Prepupa in case. Case 8mm. 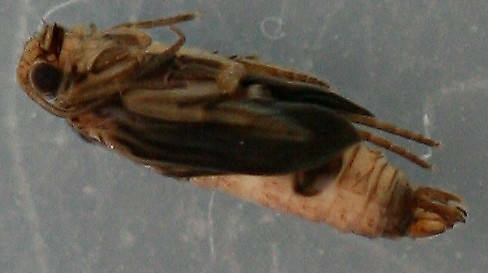 Prepupa 6 mm. In alcohol. Collected March 29, 2013. 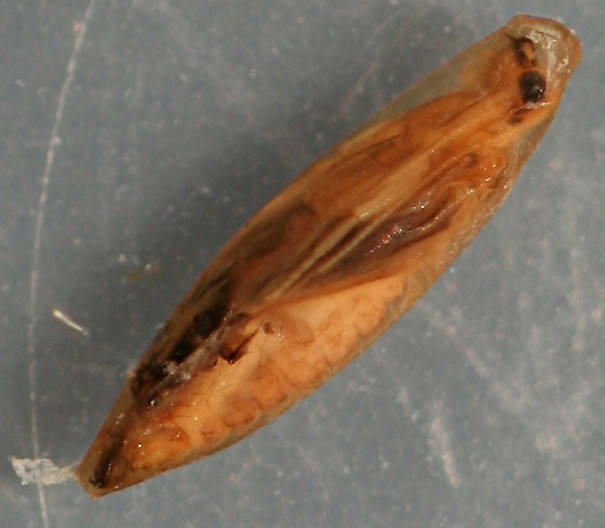 Immature pupa in cocoon. 6 mm. In alcohol. Collected March 29, 2013. 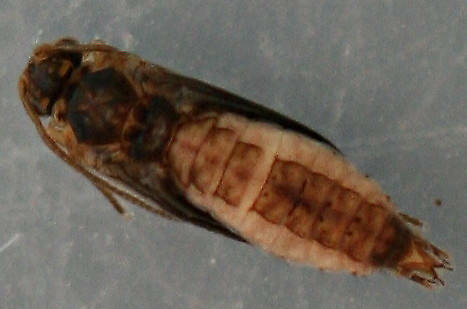 Posts: 318 Agapetus larvae are abundant in the Russian River, being most common in March and April. Usually found on top of gravel and cobble in a slow to moderate current and fairly shallow water. 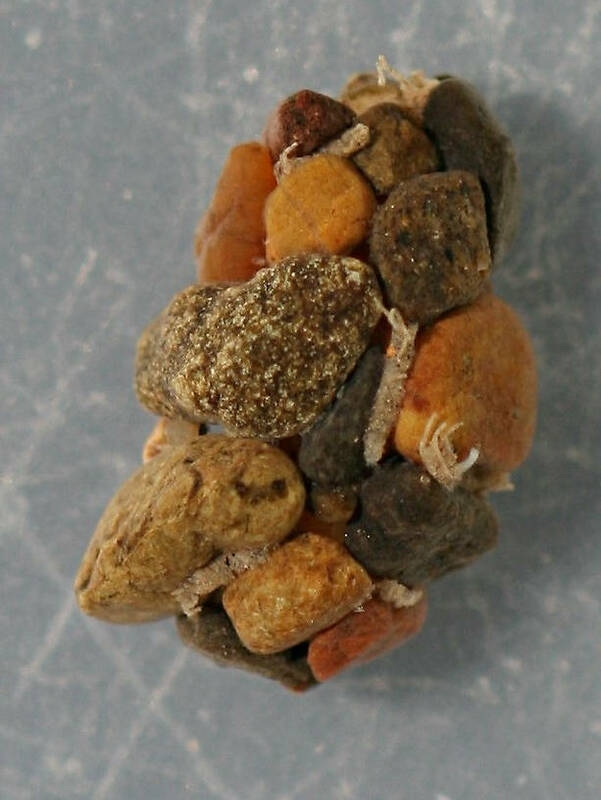 Pupae are found attached to the sides and tops of large gravel and cobble. 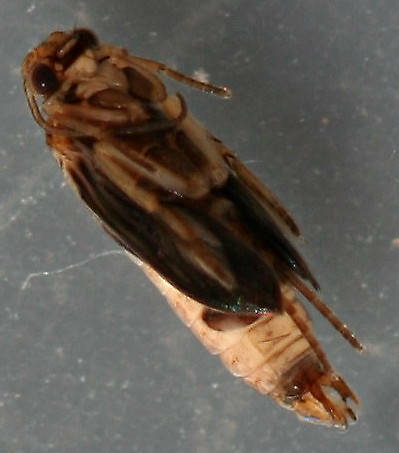 Larvae were identified to genus using Merritt, Cummins and Berg (2008) and Wiggins (1996). 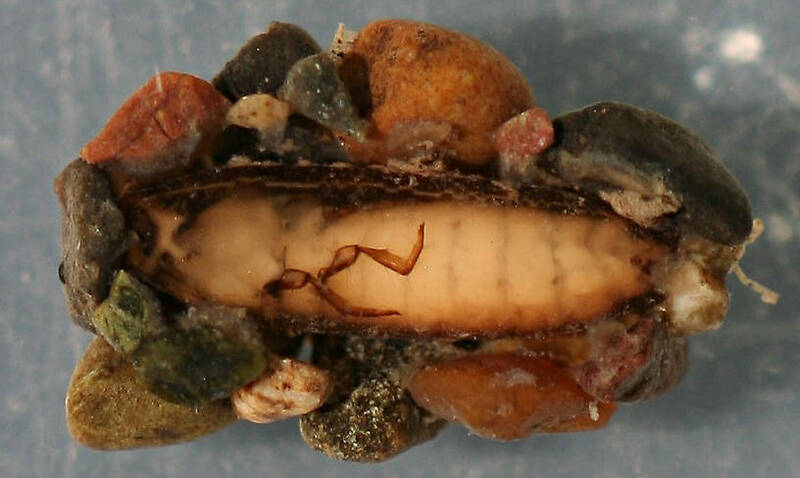 Pupae were identified to family using MCB and identified to genus by association with the larvae. 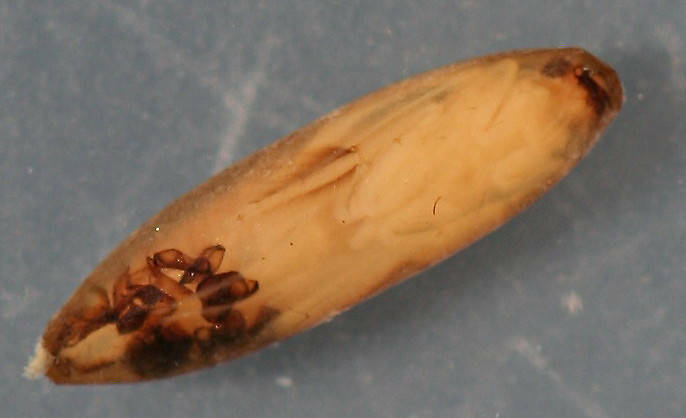 The larval cases have a small piece of silk at each end on the ventral surface that close when the larvae is entirely inside the case. They can be seen in the photo showing the bottom of the case. 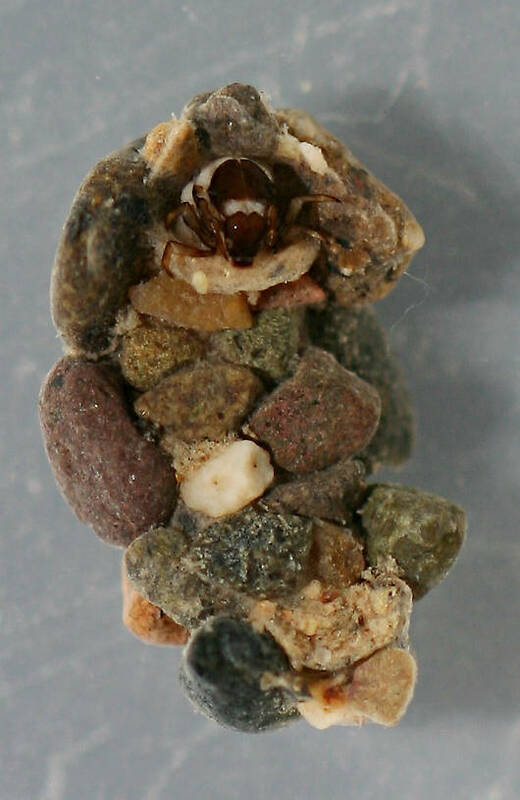 The pupal cases don't have stones on the bottom but are attached directly to the rock. There is a silk cocoon which is only attached to the case at each end, all other surfaces are unattached. I haven't collected adults so have no idea what the species is. Posts: 282 No mature pupae? Not alot is known about the western species. Little critters that emerge early. 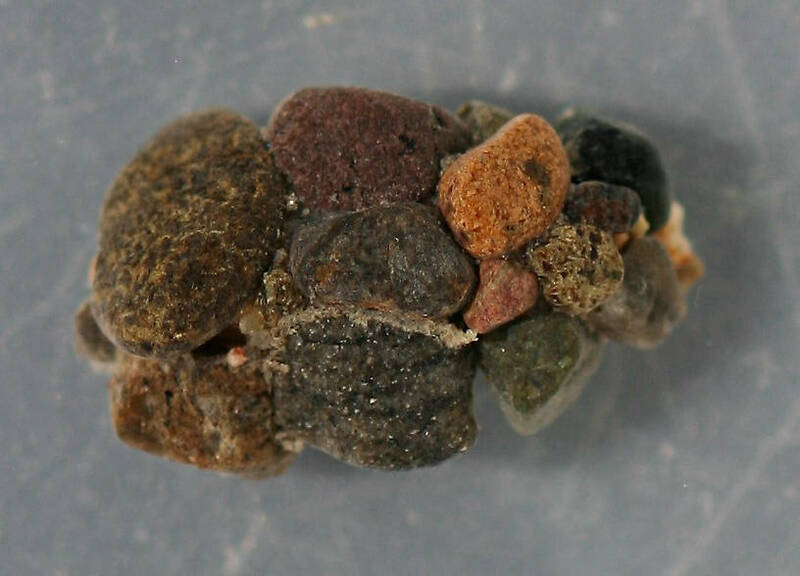 Dave Etnier et al recently described many new species from the east. He focused on collecting early in the season. Posts: 318 Didn't have any mature pupae in the vials I got out today. I've got a couple more sets of samples and will check for mature pupae. If I find any I'll add them to this post. Kind of got side tracked looking for Capnia umpqua at the same time these little fellows were around. Posts: 282 Nice pics as usual. Great example of the midge being carried around, and probably benefiting while not harming the caddis (commensal/phoresy). The pupae is a male and mature enough to determine to species. From here it looks close to Agapetus celatus but the dorsum is off and the proportions don't seem right. Posts: 318 I can send you a few if you'd be interested.